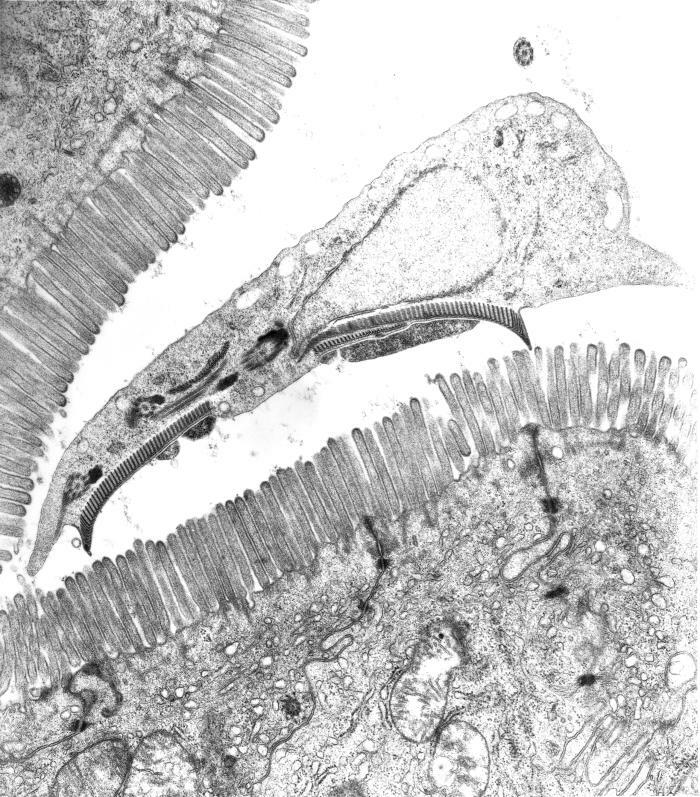 This is a transmission electron micrograph (TEM) of a thin section cut through the ventral adhesive disk (suction-cup-like structure) of a Giardia sp. protozoan, which had adhered itself to the mucosal 'comb-like' microvillous border of an intestinal epithelial cell from a rat ileum. Note the monolayer of microtubules in the organism's ventral adhesive disk.